The trailer sees another returning character in the form of the cat Chloe (Lake Bell) teaching Gidget how to be a cat. Why this is necessary isn't clear, but the fancy dog is doing her best to transform into one of her feline friends. This involves sophistication in the form of being able to ignore a game of fetch, grace, which shows itself with the ability to land on one's feet, etiquette, as it relates to using the bathroom and "cattitude," which involves a range of behaviors anyone who owns a cat will likely be familiar with. The studio has also released a new Gidget character poster to go along with the new trailer. So far, Illumination, the studio behind such hits as the Despicable Me franchise and The Grinch, which recently went on to become the highest-grossing Christmas movie ever at the box office, has employed a pretty unique marketing strategy with this sequel. This is the fifth of these character trailers we've seen so far, with the previous ones focusing on Chloe, Kevin Hart's Snowball, Tiffany Haddish's new character Daisy and Max, who will be voiced by Patton Oswalt this time around, who stepped in after Louis C.K. was fired, given the several occurrences of sexual misconduct the comedian admitted to. While a full plot synopsis for the sequel hasn't been revealed, the new movie will pick up where the previous installment left off and will further explore the lives our pets lead when we're not around. Chris Renaud, who helmed the first movie in addition to Despicable Me, and The Lorax returns to the director's chair. The script comes from Brian Lynch of Minions fame. The full cast includes Lake Bell, Hannibal Buress, Dana Carvey, Tiffany Haddish, Kevin Hart, Pete Holmes, Garth Jennings, Ellie Kemper, Nick Kroll, Bobby Moynihan, Patton Oswalt, Jenny Slate and Eric Stonestreet. It will also feature Harrison Ford in his first ever role in an animated feature. The Secret Life of Pets was an unexpectedly huge success, bringing in $875 million worldwide working from a $75 million budget. While Illumination does occasionally misfire in the quality department, they have proven to be a powerhouse in the animation world that can reliably deliver a huge hit, with very few missteps to speak of. 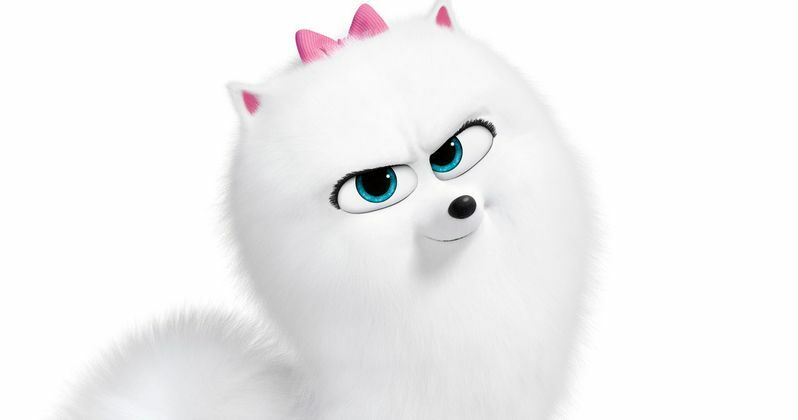 The Secret Life of Pets 2 is set to arrive in theaters on June 7. Be sure to check out the new Gidget character trailer from the Illumination YouTube channel below.